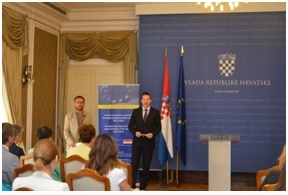 On Wednesday, 10th June business leaders and representatives from Croatia’s leading NGO’s joined delegates from the Government Legislation Office and a number of line ministries to mark the official opening of NI-CO’s EU Twinning Light Project “Strengthening Capacity for the Implementation of Regulatory Impact Assessment Strategy 2013-2015”. 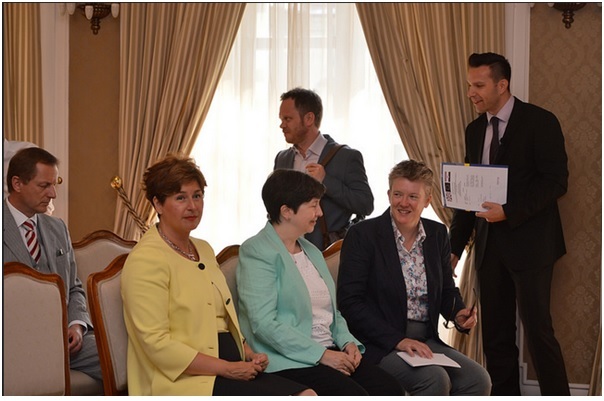 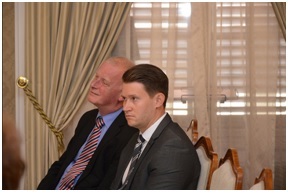 Over the next 6 months, NI-CO will be working in partnership with the UK Ministry for Business, Innovation and Skills to deliver the €250,000 contract which has been designed to improve the quality and efficiency of the legislative drafting process in Croatia through the better use of regulatory impact assessment. 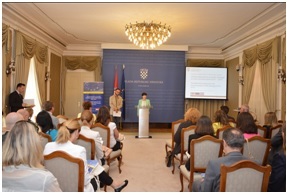 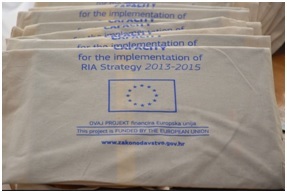 At the opening conference, participants were addressed by NI-CO’s Project Leader, Mrs Julie O’Connell, Mr Boris Zeleniko Government Legislation Office (Zagreb) and Ms Nicole Davison Deputy Head of Mission, UK Embassy who explained the benefits RIA brings into the legislation making process and how the project will further strengthen administrative capacities for regulatory initiatives thus contributing to drafting legislation in a transparent and efficient way with focus being put on economic development as well as environment protection and social care.